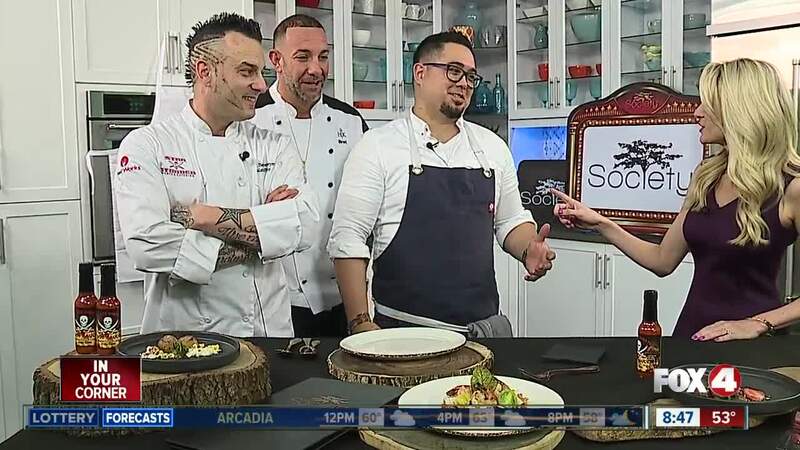 Get ready for a five-course meal with some celebrity chefs-- it's what's happening at Society this Thursday when some chefs from Hell's Kitchen take over for a 5-course meal! One of Society's chefs came in studio to talk about what they have planned. We showed you a little bit earlier this week of what to expect at Hell's Kitchen's takeover of Society in Fort Myers. Now, you're getting a second look, with one of the celebrity chefs themselves. If you want to order tickets for the 5-course dinner tonight, click right here.